SKY is designed from the ground up to be the most beautiful, exhilarating hard top on the road. Conceived and built with unparalleled craftsmanship in Los Angeles using the highest quality materials, the SKY hardtop™ provides UV protection and safety from the elements. This transparent hardtop dramatically enhances the cabin view as if driving with an open top. Inspired by the acrylic bubble canopy used in most fighter aircraft since WWII, the SKY hardtop® transforms your Lotus into a cockpit experience. 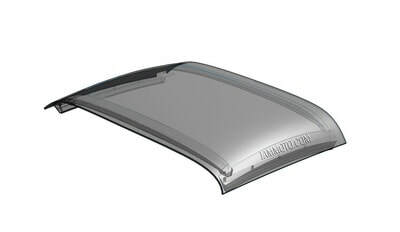 SKY hardtops™ are made from ¼” thick panels with both UV protection and scratch resistant coating. 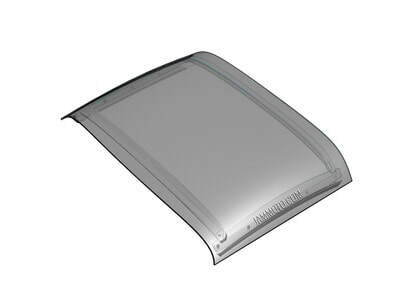 Acrylic provides approximately 20 times the impact strength of float glass used in automotive windshields. Better than glass - SKY is stronger, lighter, and won’t shatter.